Collecting operational data from across the operational value chain, providing current, accurate and meaningful information for confident decision making. MinLog’s MineSuite Production Information and Fleet Management systems collect operational data from across the mining value chain, providing current, meaningful information for efficient operational management and confident decision-making. Our InfoManager offering enables on-site or cloud-based visualisation, analysis and reporting, with the MineSuite Application Server, offering seamless integration with third party systems and real-time processing and routing of information. Its modern service bus architecture allows for loss-less data storage in a data-lake. MineSuite FleetManager seamlessly integrate with InfoManager and is connected to mobile field computer equipment through MinLog’s unique decentralised store and forward algorithms for automated data acquisition in disconnected wireless communications environments, providing flexible, reliable, near real-time data transmission from areas with minimal networking infrastructure. A partner in understanding our client’s business and providing solutions, that deliver value to their bottom-line, on a sustainable basis, resulting in lasting partnerships. Our team of thought leaders, subject matter experts, engineers, developers as well as our deployment and support staff deliver high-value solutions and are committed to build close working relationships with our customers. Partnering with Maptek; the leading provider of geological modelling, survey, mine planning and mine design systems, to deliver step-change solutions to industry by combining our planning and production offerings and know-how. A South African colliery has partnered with MinLog in a strategic drive to improve information management for guiding operational decisions. MineSuite's mining production and plant management information system (MIS) collects and processes data, including load and haul assignments, modes, production, product qualities, engineering events and consumables. MineSuite features the latest on-board field computer equipment, which is configured and programmed according to the specific requirements of each mining operation. MineSuite PMS is a real-time software tool with fleet management functionality to enable tracking, monitoring and management of mine operations' primary production equipment and related product flow. MinLog was contracted to supply underground proximity awareness tools for BHP Billiton's Olympic Dam mine operation. Since 2008, the MinLog MineSuite product offering established itself well as the formal centre of production and related information at Khutala Underground Colliery. MinLog is proud to announce the deployment of our new Electronic Log Sheet at Khutala Mine. MinLog has adopted innovative technology and architecture to model, measure and interact with processes across the mining value chain. MinLog is pleased to announce it has secured its first project with leading global mining contractor Thiess Mining, to participate in a first off, in-pit pre-treatment plant coal recovery project by implementing its market leading MineSuite InfoManager MIS solution. MinLog has been chosen by Olympic Dam to participate in a proof-of-concept project to evaluate the use of MinLog's unique Decentralized Store and Forward (DSF) solution for relaying data files to and from equipment. 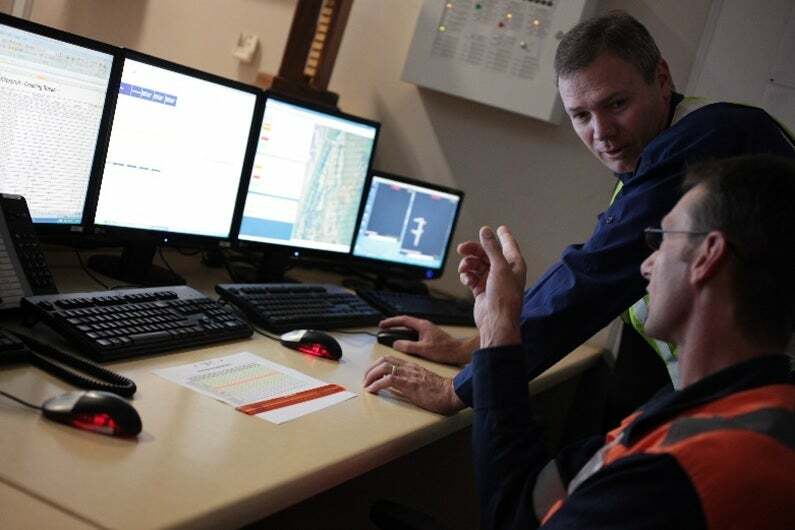 MinLog is delighted to announce a further extension of its valued relationship with Olympic Dam by being chosen to deliver its MineSuite's FleetAdvisor offering for automating the load and haul data acquisition process. Cloud storage and processing has enabled an 'Internet of Things' approach to mining production and performance information for more effective data interaction. 2014 has seen further unique developments in MinLog's continued history and success, and another barometer of MinLog's focus has been the partnership now established with Mining Technology. January 2014 saw another successfully completed stage of Minlog's expansion into the India mining market with the signing of well-respected company and in-country partner, Sumeru.